We love how our daily rituals, define and influence who we are. Some bring us joy and happiness, some offer us comfort and relaxation, some get our adrenaline rushing, our body sweating and boost our energy and health. They make us feel we belong to that exact time and place, that “home” is where we are. It is our way of sharing things with our friends and family or spending time for ourselves. But without doubt, all of them define us as a human being and have the power to nurture and heal our souls. This is something we strongly believe in here at Belula Care. We are determined to offer you an amazing experience and help you add another little ritual, to the ones that already make you who you are. A ritual that will bring you beauty, health, and relaxation. In the end, we have decided we will collect your smiles and create memories from them, because what is more beautiful than being able to bring happiness to others? 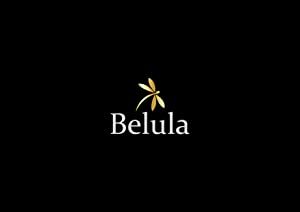 Christina Badiu, Co-founder Belula Care. We decided to share that, combine it with a customer experience equally amazing and bring a quality final product to you. We put as much of our hearts and souls in this as we could and we hope you will find that when you receive our products. Relieves stress and gives you a wellbeing feeling: The ritualistic experience of dry brushing will induce calm and relaxation, leaving you with a good feeling about your body. 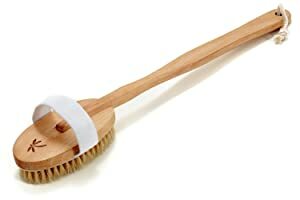 Lymphatic Support: Dry brushing the skin regularly helps stimulate the normal lymph flow within the body. Cellulite Reduction: Many people claim that regular dry brushing greatly helped with their cellulite. Clean Pores: The added benefit of exfoliating the skin, is clearing oil, dirt, and residue from the pores. Exfoliation: Dry brushing is one of the simplest and most natural ways to exfoliate skin. Increase Energy and Blood Flow: Dry brushing your body will have a vasodilatation effect. 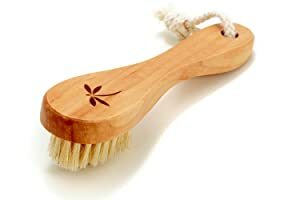 The long handle brush is used for dry brushing your body. The brush has a detachable long handle, so it can be used on all areas of the body. It also has an elastic strap, so all hands can get a good grip of the brush. The wild boar bristles will offer a firm brushing effect, ensuring all your dead cells are eliminated from your skin. Adjust the intesity of the strokes, to your level of desire, so that in the end you’ll be left with a pink skin, not red. Consult our “How to ?” guide, found inside the package ! The face brush is used for dry brushing your face. Being a gentle area of the body, the bristles are softer than on the body brush. Even so, adjust the intesity of the strokes, to your level of supportability, so that in the end you’ll be left with a pink skin, not red. Consult our “How to ?” guide, found inside the package ! The exfoliation gloves are used when you bath or shower and have a milder effect than the body brush. They are very good to start getting used with the feeling and accustom your body with exfoliation.